GDPR is now six months old – it’s time to take an assessment of the regulation’s impact so far. At first blush it would appear very little has changed. There are no well-publicized actions being taken against offenders. No large fines levied. So does this mean its yet another regulation that will be ignored? Actually nothing could be farther from the truth. The day GDPR came into law complaints were filed by data subjects against Facebook and Google. Complaints – that does not sound like action by regulators, in fact its not – its action taken by lawyers. 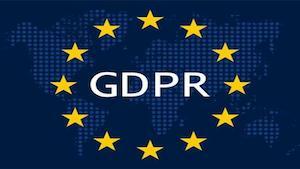 GDPR is a much-evolved form of European regulation allowing data subjects to file suits against data collectors whom they believe are violating their rights. This battle is going to be fought in 28 EU countries courts much sooner than in their Data Protection commissioners ministries who enforce the law and handout fines for violations. Activist legal teams like Austrian noyb and its founder Max Schrems who had a strong hand in drafting GDPR are taking up these complaints. Meanwhile activist Privacy International is going after the likes of Oracle – filing complaints in the UK along similar lines as to the claims against Google and Facebook in that there is ongoing disregard to establishing legitimate-use of data collected and a disregard of individual’s rights because in fact those individuals do not know their data is being collected, so there is no expectation they can ask that their data be removed. Regulator action will take time – six months is too early to get a proper read. Yet, we can still get a feel for what is going on by looking at what’s happening in a given country. The UK is interesting; their Information Commissioner predates GDPR as UKs privacy regulations go back to 1998. The UK commissioner is currently publishing findings and leveling fines after investigations for activities dating back to 2016. That gives us a feel for how long investigations may take under GDPR. Perhaps we will not know the full impact for another two years to the magnitude of fines levied. Facebook’s challenges with Cambridge Analytica were lucky in that they fell under the prior law resulting in a smaller 500K GDP fine than the billions allowed by GDPR. Breaches at British Airways and others, which took place since GDPR became active, are being carefully monitored to see if in fact they were properly reported to the UK commission within the 72-hour limit of being discovered. The hotbed for US companies is Dublin as Ireland is where many US companies have their European headquarters. Helen Dixon, the current Republic of Ireland Commissioner, and her office is one of the busiest in Europe working with these companies as they scrabble to be complaint under the law. GDPR has had influence internationally – 10 countries including Canada, whose law just went active this month, now have very similar laws. California also has a much-watered down version that went into affect as well. None of these laws carry the same fines, but most allow for litigation. California is just one of 26 states that have such laws on the books. These laws vary widely in their rules. Because of this the Internet Association, an influential lobby group for Internet based companies, has come out indicating it would be for a single US law to provide uniform privacy assurance. The difference being in how they want the law to be written. Here is an example: Google’s Android OS terms and conditions states that the user, by activating their service, consents to Google’s collection of their personal data across All Google products for any use. Today once you activate you can’t go back and ask them to remove you. The Internet Association’s President Michael Beckerman, states that individuals should have a right to ask what has been collected and then have this information removed – If they discontinue using the product/service. The difference is GDPR does not force you to disconnect your $1000 phone. Given all that, perhaps its not surprising that Apple CEO, Tim Cook, has come out strongly in favor of having a similar strength version of GDPR here in the USA. Apparently they don’t collect the same data that Google, Facebook and Amazon do. Score one for capitalism? All-in-all GDPR has had a subtle but extremely influential impact in the Internet world already. With all the lawyers involved, it’s not likely going by the wayside anytime soon.